Edinburgh, Scotland, United Kingdom. 7 December, 2017. Scottish Green MSP Alison Johnston joined with animal welfare campaigners at the Scottish Parliament at Holyrood to support her member's bill to ban fox hunting in Scotland. 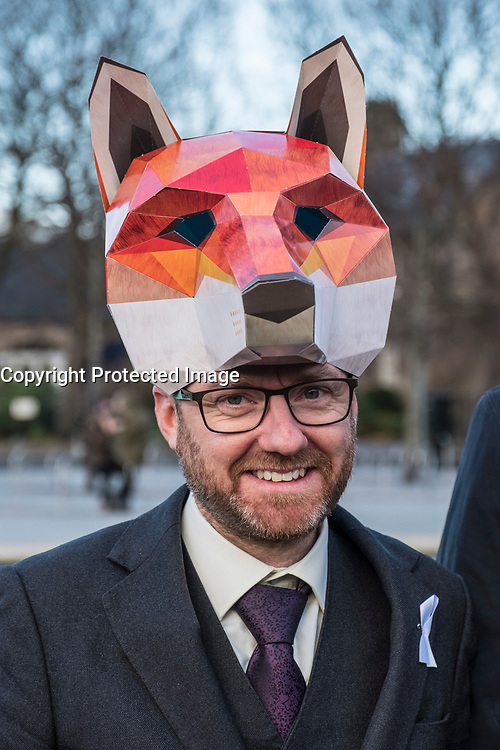 Leader of Scottish Green Party Patrick Harvie wears a fox head mask.